Sir Edward John Poynter (British, 1836-1919) Sir Edward Poynter, the neo-classical painter, lived under the shadow of Lord Leighton, and as a result his work was unjustly neglected. Furthermore, his talents never quite matched those of Leighton and Alma-Tadema, even though at times he could be a superb artist, as with his Cave of the Storm Nymphs, which is one of his finest academic paintings. 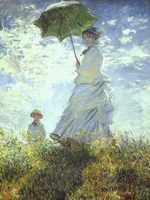 It was bought in 1891 for ?203,500, one of the most expensive Victorian pictures ever sold at that time.